Hardcover, 9.75 x 12 in. / 96 pgs / 30 color. Edited by Annette Dixon. Essays by Annette Dixon and Robert Reid-Pharr. Interview by Thelma Golden. 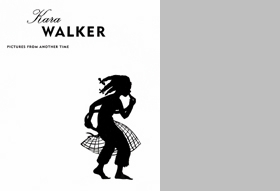 Arguably the most controversial young African-American artist working today, Kara Walker creates vivid and shocking evocations, rooted in stereotypes, of an antebellum world that comments on the system of slavery and its continuing legacy in the American consciousness. In her choice of black cut-paper silhouettes, Walker takes a medium that was extremely fashionable in the late 18th and early 19th centuries as part of the neoclassical revival, when the silhouetted images on ancient Greek and Roman vases were emulated on such goods as Wedgwood ware. The silhouette was a parlor art practiced by genteel ladies and gentlemen, who created portraits, landscapes, and decorative motifs. There were also traveling silhouettists who took their craft around the country. The 18th- and 19th-century silhouette was also associated with the pseudo-science of physiognomy, which held that one could analyze psychological and racial types by studying profiles. 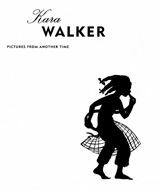 Adopting the antiquated medium of the silhouette, Walker has turned it into a powerful force to evoke the complexities of the system of slavery, exploring themes of exploitation, accommodation, and complicity on the part of both the powerful and the oppressed. Pictures From Another Time is the first major publication on the work of this extraordinary artist. It includes nearly 70 examples of her work, including her silhouettes, prints, drawings, projected installations, and watercolors. 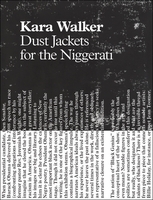 Texts include an interview with the artist by curator Thelma Golden, Deputy Director of Programs at The Studio Museum in Harlem; and essays by literary critic Robert Reid-Pharr, Professor of English at the City University of New York and Annette Dixon, Curator of Western Art at the University of Michigan Museum of Art. FORMAT: Hardcover, 9.75 x 12 in. / 96 pgs / 30 color. Published by D.A.P./University of Michigan Museum of Art.